The National University of Science & Technology recognizes research as a key element of higher education and is committed to investment and development of research facilities. Scientific research is conducted in close co-operation with industries, other organisations and the wider community through proven international partnerships and research collaborations. Special efforts are made to ensure that research benefits students, as well as other stakeholders and the community at large. The University has an established and extensive research network to facilitate joint research projects, and exchange program for researchers, staff and students. 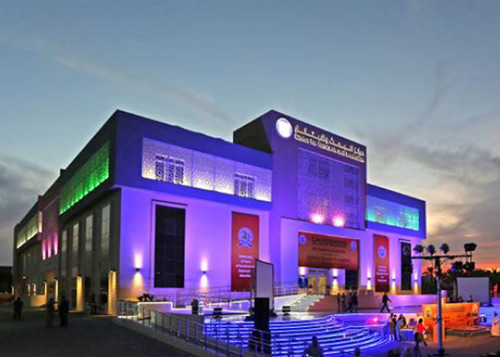 The various colleges of National University have attracted funded research projects worth in excess of 2.5 million US dollars, including funding received from the Research Council (TRC), Industrial Innovation Center (IIC), Middle East Desalination Center (MEDRC) and industry. The College of Engineering has strengths in numerous research areas, with a wealth of research resources and facilities available particularly in renewable energy, desalination, water and waste treatment. With strong ties with more than twenty research-active international partners, the college has achieved considerable success in research performance over the past few years. Researchers work with industry, government agencies and international research institutions to make an impact in research and innovation with the agenda of a forward thinking research community. 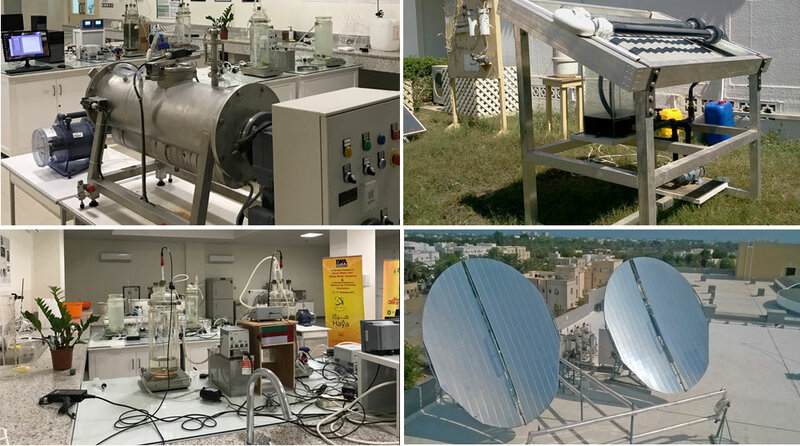 The Centre for Research and Innovation has a dedicated state of the art laboratories including a waste to energy research laboratory and a solar water research laboratory to facilitate cutting edge research. Research output is distinguished with well over 300 research publications, including participation of more than 200 undergraduate and postgraduate students. In the future, research groups will be established to facilitate the set-up of a research infrastructure and continued promotion of scholarly activities in the colleges of Pharmacy and Medicine and Health Science. These areas of research are relevant to Oman and are aimed at improving the health of the population of the country. The promotion of entrepreneurship and SME development stems from the vision of His Majesty, Sultan Qaboos. At the University, the Centre for Innovation and Design aims to nurture the spirit of innovation, creativity and entrepreneurship among talented and ambitious students and academic staff and to promote business and product development. The centre offers a wide range of facilities and is equipped with incubation, research and product design facilities and other supporting provisions including mentoring and training facilities for students, staff and the community at large. The centre has also established co-operation and partnerships with organisations including the Malaysian Academy of SME Entrepreneurship Development (MSAMED), University Technology MARA, University of South Carolina USA and Technopark Technology Incubation Center in Trivandrum, India. The research and ethics committee of College of Medicine and Health Sciences and College of Pharmacy is diverse, richly talented, and progressive and focused on the goal of making people’s lives better. The faith, resources and cooperation invested in the college are complimented and strengthened by faculty researchers who are obligated by mission determined by tradition; and focused by heritage to aggressively pursue the opportunities and tasks they have undertaken. The mission of this committee is to promote scholarly activities and motivate all young and dynamic scientists of the college to attend conferences and symposia, deliver lectures and interact with health professionals locally, regionally and internationally. Delivering presentations outside the college will project the image of the Colleges and will also lead to opportunities to collaborate with other institutes and hospitals. The Colleges are dedicated to produce high quality doctors, health professionals and pharmacists who have the obligation to keep themselves updated as well as contribute towards mankind for a better living. The research committee regularly submit proposals to funding organizations which will help to provide base for the present as well as the coming generation to start research in the areas which are not yet developed in Oman. Currently, the committee members collaborate with the scientists in other universities and hospitals to carry out research projects which are relevant to the country. The vision of the nation is to set up research in various fields without which the education is not complete.A good researcher will always be able to educate others better as the critical thinking improves with the research base.